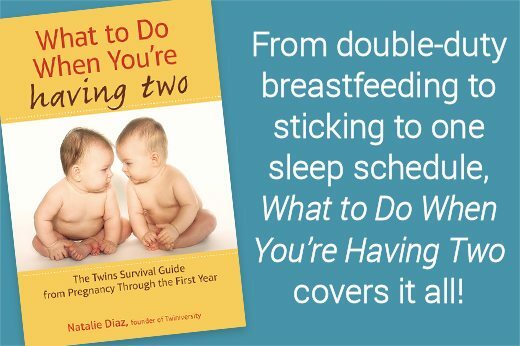 Home » Should I Separate My Twins for Sleep? Should I Separate My Twins for Sleep? I have 12 week old boy twins who are starting to gradually sleep longer at night. This is great, but it seems now when one wakes, the other one wakes, they no longer block out the other. Did anyone separate their twins for sleeping, and at what age? I’d love some advice! – Mine are 13 months and still sleep together. When they were younger if one would wake I would wake the other. Change and feed both of them back to sleep. Now baby boy sleeps through the night and baby girl wakes up 1-2 times a night. Baby boy sleeps through her fussing. 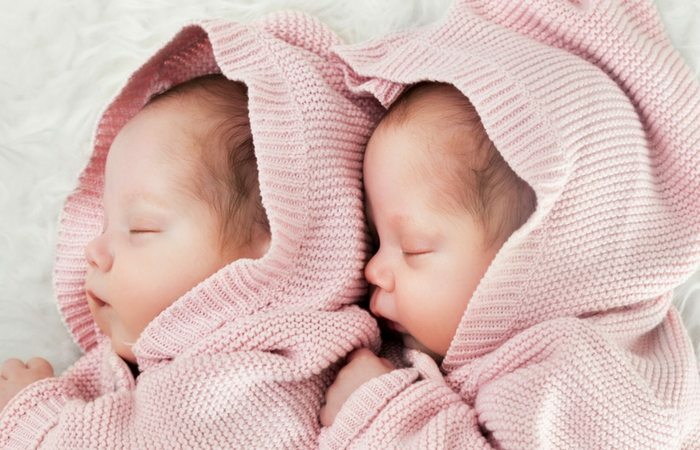 – I separated my twins at 4 months when my daughter had a hard time transitioning to sleeping unswaddled. I was so sad about it at the time, but it was the best decision I made. Both are amazing sleepers at age 2 1/2 and have been since they were separated. 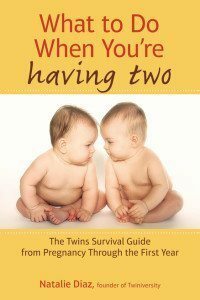 – My twins have slept in the same room since birth. They shared a crib until they got too big. Now they share a bed. They don’t like sleeping apart. I think it’s a phase when they wake each other up. If one cries now they don’t bat an eyelid, but they did used to wake each other. – My twins just turned 2 years old. They have spent every night together in the same room. We have a sound machine with white noise and I think that helps. When one wakes up we would always get the other up at the same time. This lasted till about 6 months. Then they both slept through the night. – It could just be a phase or they are both needing something at about the same time. My twins shared a crib for 13 months, at which point they’d just play with each other or 1 would play with the other who was trying to sleep. But even in separate beds they usually block each other out. – Stick with it. They will go back to being able to sleep through. Mine are 13 months and do fine with the other fussing. There will be phases where they don’t for a few days but it comes back in a day or two. – Ours have always been in their own cribs but in the same room. We use a white noise machine and they are four months old and still drown the other ones crying out if we react quick enough! – My boys have been separated since 4 months and are now 2.5 years. They have always been the best sleepers. Do what gets all of you sleep, that’s most important. – I separated my twins around the same age for the same reason. Right after they started sleeping through the night and didn’t wake each other up. – I put mine in separate rooms at 2 months for this reason! They both started sleeping much longer almost immediately! – We don’t have a choice but to have our twins share a room. 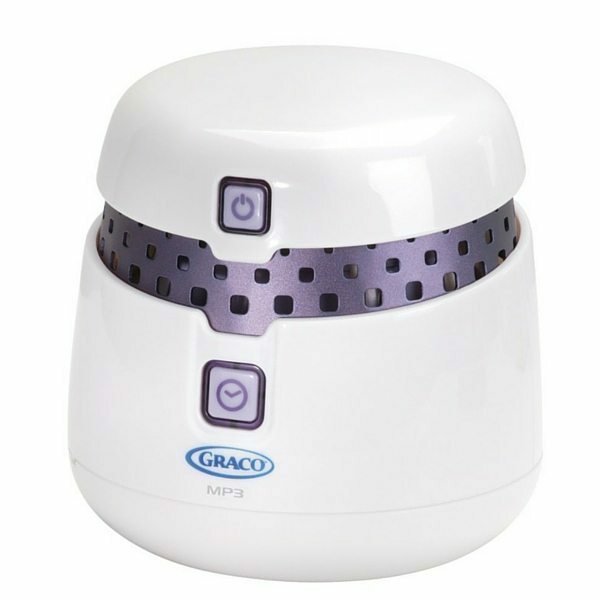 However, we found that a white noise machine made a huge difference. – I think you will find that at the end of the day is better when they eat, sleep, cry at the same time. Hang in there. – Best thing you can do is continue to let them sleep together and get used to the noise. It’s a pain at first and some sleepless nights but eventually it pays off. – We never separated for noise. At 4 months they started kicking each other so we did side-by-side cribs. Do what works for your family and remember you can try anything for a day or two to test the waters. – Our twin boys shared a crib for the first 3 months before we put them in their own cribs. They were immune to each other’s crying until about 4 months when they started to wake each other, but we decided since they’d be sharing a room for years to come they needed to learn and they did! It took a few weeks/months of wakeups but eventually the immunity to each other’s noise returned. Now they’re 18 months and one can be full out tantruming and the other won’t budge. It was worth the hard few weeks of wakeful babies. – I separated mine around that age, maybe sooner. I didn’t think it was fair that they had different sleep needs and kept waking one another. I decided to suffer, and not make them suffer. We decided not to do the ‘when one wakes, wake the other’ thing. That’s not fair to the growing babies, in my opinion. It was really hard but it passed. We put them back together when they were 3 and they love it! How Do You Sleep Train Twins in The Same Room? 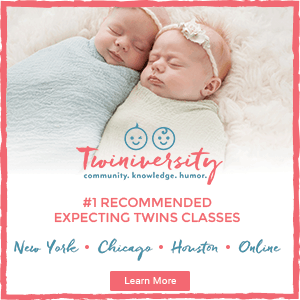 Click here for info on our expecting and new twin parent classes in New York City, Chicago, and online! 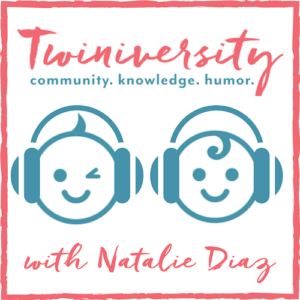 Whether you’re a twin parent in the big city surrounded by scores of resources, or a triplet parent out in the country with no one around for miles — our multiples parenting forums are for YOU! 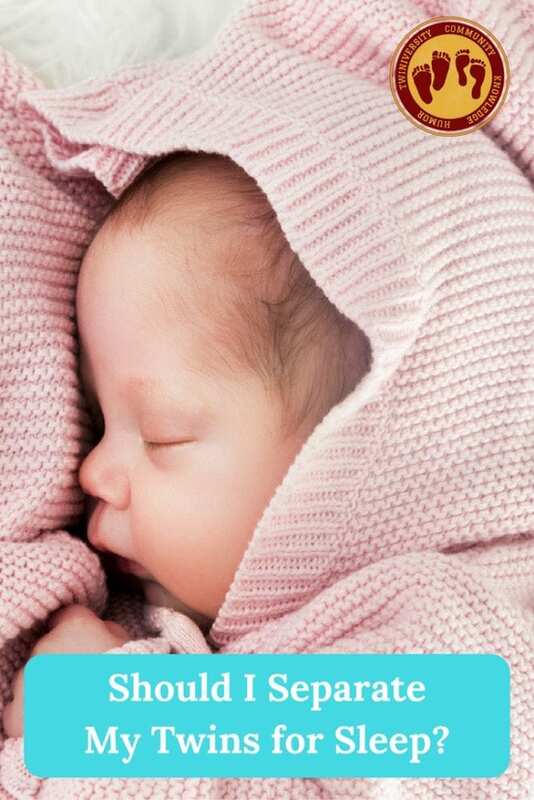 Sign up for FREE and connect with people who are just like you — parents of multiples looking for advice, parenting tips, or even just people to chat with who will understand what you’re going through. 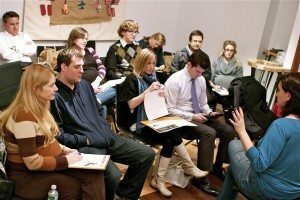 Our forums are open to people all over the world and we offer scads of specialty rooms to find others who are going through the exact same thing as you. Check it out today! Twiniversity is the #1 source for parents of multiples and we are growing faster every day!